CSV import allows you to import your data into LogMyHours.com. You can import companies, clients, projects, tasks, timesheets and employees. Your file must be in CSV format with UTF-8 encoding and in English. 1. Upload your CSV matching the requirements listed below. 4. You can then choose to finalize the report, or upload another file. 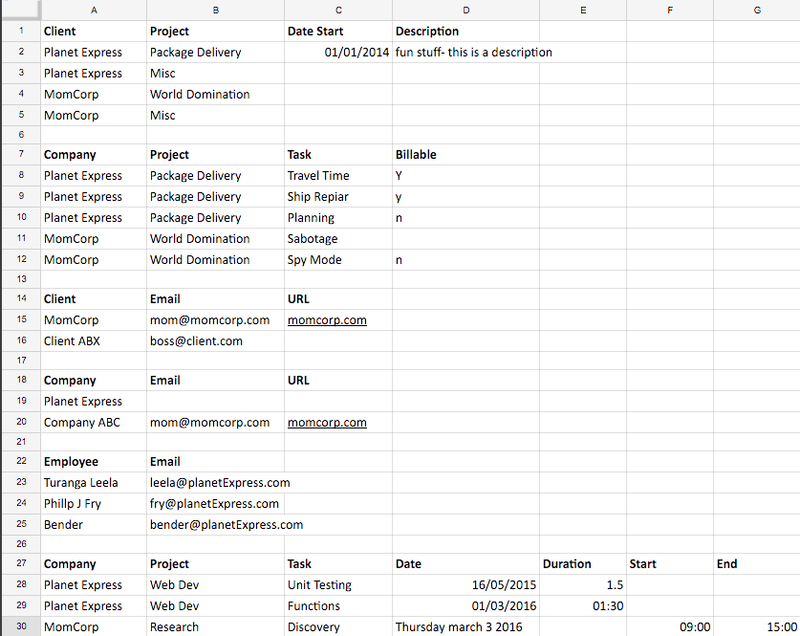 You can combine everything together onto one CSV. Be sure to leave some space between each section.